Quick Take: Bones, "The Truth in the Myth"
Review: Bones, "The Truth in the Myth"
(S0618) The Bones creators have tackled a number of mythical creatures over the course of six seasons. 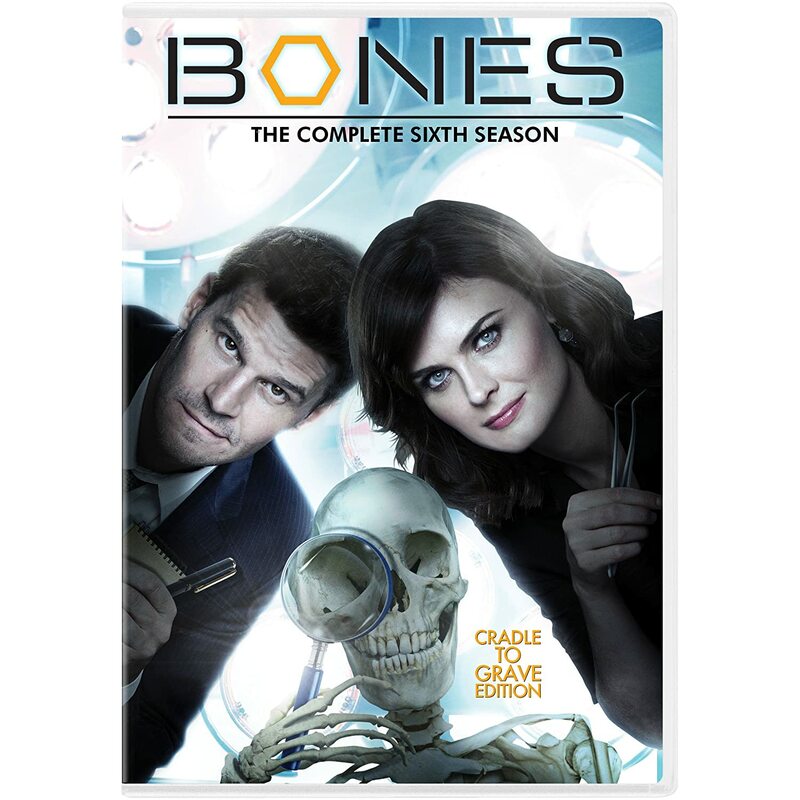 Booth and Bones have solved mysteries appearing to involve leprechauns, demons, aliens and Santa Claus. In "The Truth in the Myth," the apparent killer is the Chupacabra, a legendary animal with characteristics of a coyote, a vampire, and an alligator. We open with the clichéd scenario of a couple about to engage in a tryst in the woods, when they find themselves face-to-face with a body. The body is covered in CGI butterflies, which — we learn courtesy of Dr. Hodgins — apparently like to feast on dead flesh. The Bones folks love to juxtapose the beautiful with the gross, so this set-up doesn’t surprise. The team descends to do their thing and soon finds some oddities about the body. The blood has been drained and the heart removed. There are some unusual teeth marks, traces of both reptilian scales and mammalian hair, and the scent of sulfur. Back at the lab, the intern of the week is the always charming and adorable Mr. Vincent Nigel-Murray. He is the one who makes the connection between the clues and the Chupacabra, to Hodgins’ delight and Bones’ expected skepticism. The body turns out to be that of a television host, who was apparently out to disprove the existence of the Chupacabra. These myth-themed episodes provide ample opportunity for Booth and Bones to engage in their trademark scientist vs. believer banter. They have several fun conversations, as they pursue the investigation, exploring the existence of animals unverified by science. Booth tells Bones a story about how he once saw a yeti in Nepal. Whereas she would have once written off this claim, Bones wants to believe Booth and sets out discover what he may have really seen. This whole exchange, while a minor plot in the episode, is a statement of the tenderness and mutual respect the two partners have developed. It feels a little odd that after each of the main characters have now made ill-timed declarations of their love for the other, that there is no trace of tension. It seems that Hannah, Booth’s girlfriend earlier in the season, has been completely forgotten. Still, it’s nice to see the crime fighters enjoying each other’s company. Another subplot involves Mr. Nigel-Murray’s attempt to make amends with people he has wronged, as per his twelve-step alcoholism recovery program. This serious subject is treated with a healthy dose of humor, setting up some delightful scenes, especially the ones that feature Mr. Nigel-Murray and Cam. There are some funny and sweet moments between Hodgins and Angela complete with the requisite pregnancy jokes. Angela’s skills with video and sound manipulation come in handy toward solving this case. Spoilers ahead… It is no surprise that, in an episode co-written by John Francis Daley (with Jonathan Goldstein), Dr. Sweets is the one to crack the case wide open. He is tasked with interviewing a string of suspects, various kooky characters who have been wronged by the victim. He skillfully wheedles a confession out of an accomplice to the death... which, it turns out, was an accident rather than a murder. It’s nice to see the episode conclude with the whole gang gathered at The Founding Fathers. These get-togethers have become too rare recently, but this episode felt like it was about setting many things right. Welcome to TVGA Kristina ! I've long been a fan of David Boreanaz from his work on Buffy and Angel, so checked out an episode or two of Bones way back in its first season. I thought it was decent but there was not quite enough (for me) to hook me as a regular viewer (likely as I'm not typically a fan of the straight-ahead procedural). Nice to see it chugging along though and obviously it has quite a dedicated fan base.